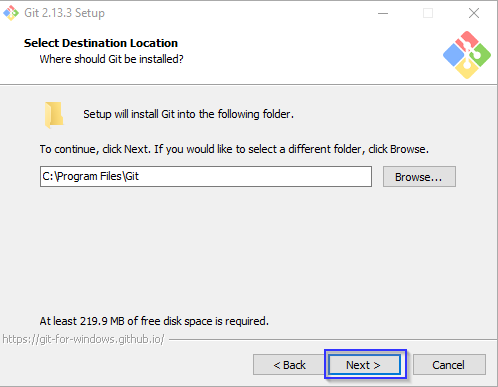 In this article, we will discuss in details about the Git Version Control, how to install the Git in Windows and why we need to use Git version control for software development. 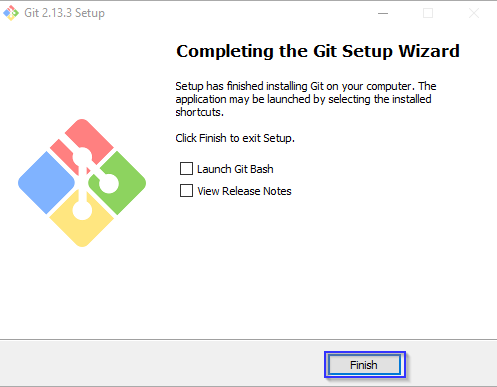 In this article, we will discuss the Git Version Control in details. 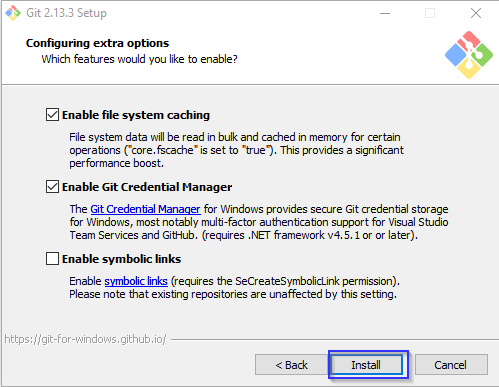 We will also see how to install the Git in Windows and why we need to use Git Version Control for software development. 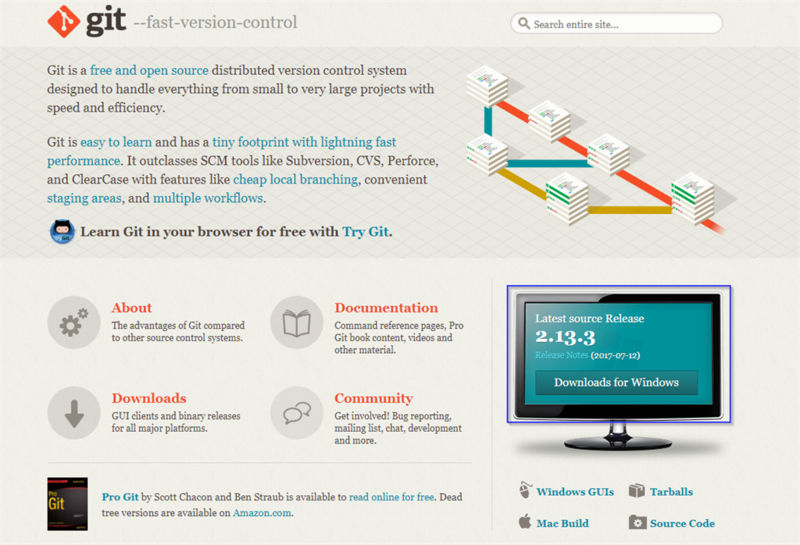 Git is an open source and fully distributed version control system. It is designed mainly to handle the any kind of a size of the projects with good performance as well as easy to learn. Version Control is a technique that works on single file changes or multiple file changes over the period of time, we will get the specific version by later. 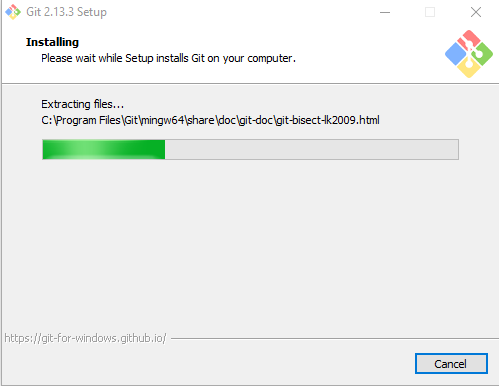 You can download the Git with the URL given below. Now, you can copy and paste the URL into your browser as shown below. 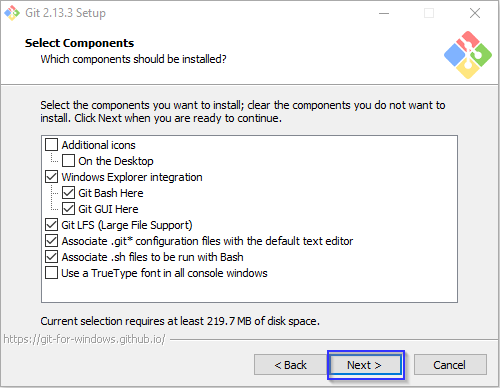 Double click and run Git-2.13.3-64-bit.exe file. 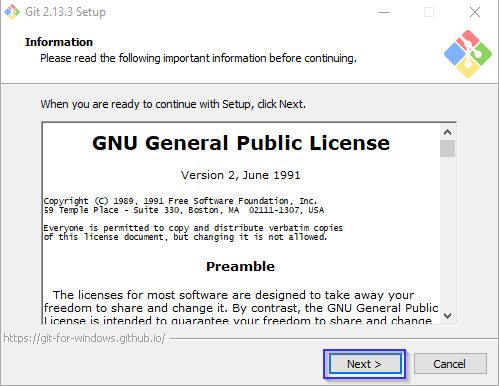 If you will receive a user control prompt, click "Yes" button. 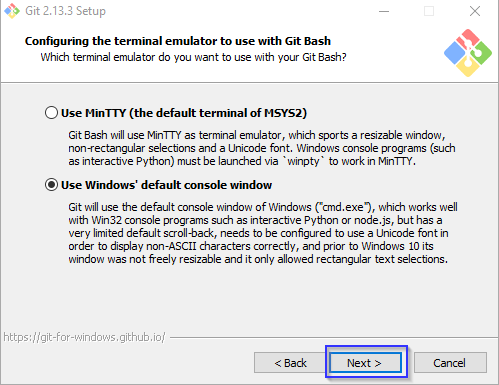 The Git window will open and click "Next" button. You can continue the default location for the installation, click Next button. Select components window will open, click Next button. 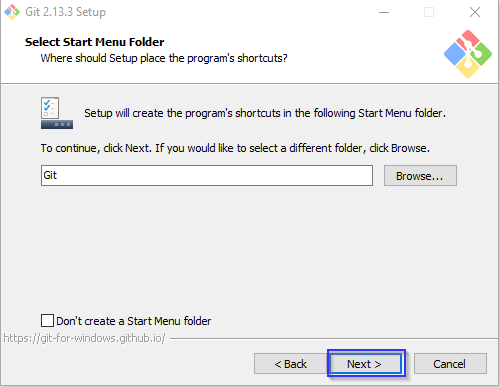 Select start menu folder window will open. Click "Next" button. 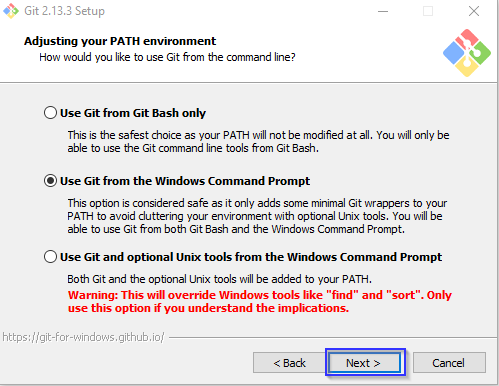 You can continue the default option for using Git from the Windows command, click Next button. 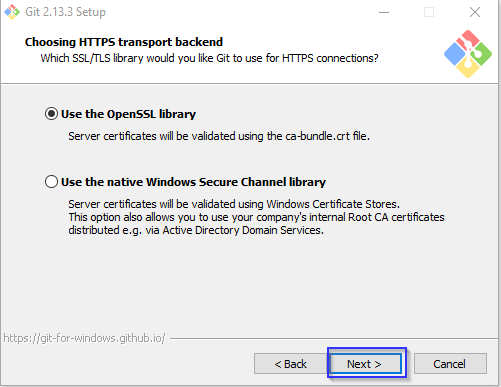 You can continue the default option for using the OpenSSL library, click Next button. 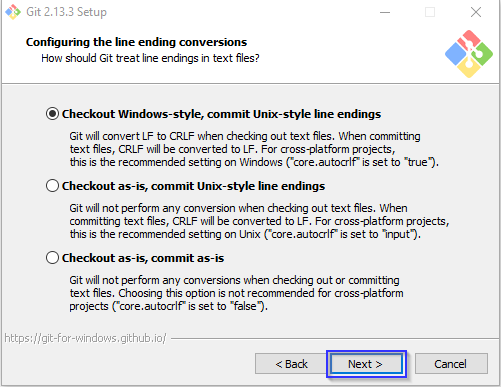 You can continue the default option for Checkout Windows-style, commit Unix-style line endings, click Next button. 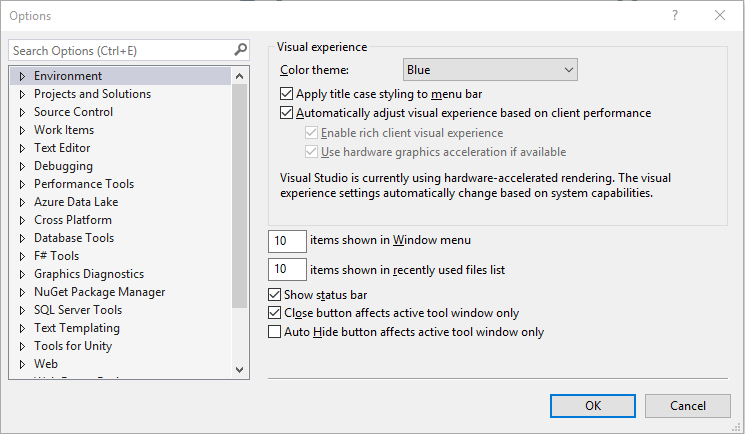 You can select the option for use Windows default console window, click Next button. 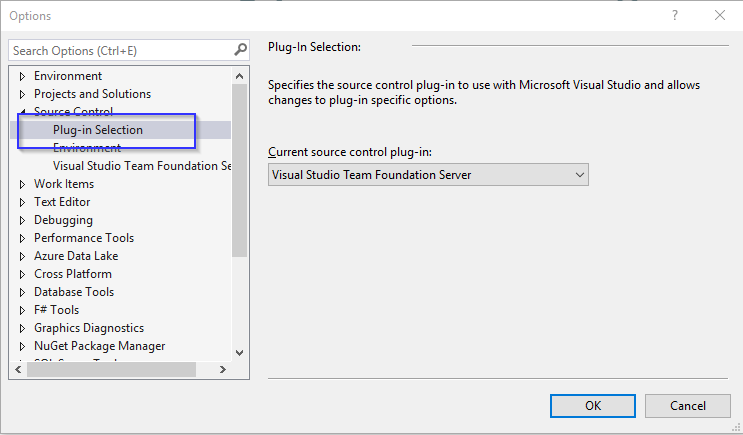 You can continue the default option for configuring additional features, click Install button. After successfully installing Git, click Finish button. Now, you can select the source control as Git from dropdown box, click Ok button. Git is a fully distributed version control system that we can use out of dedicated server to code management with multiple peoples. 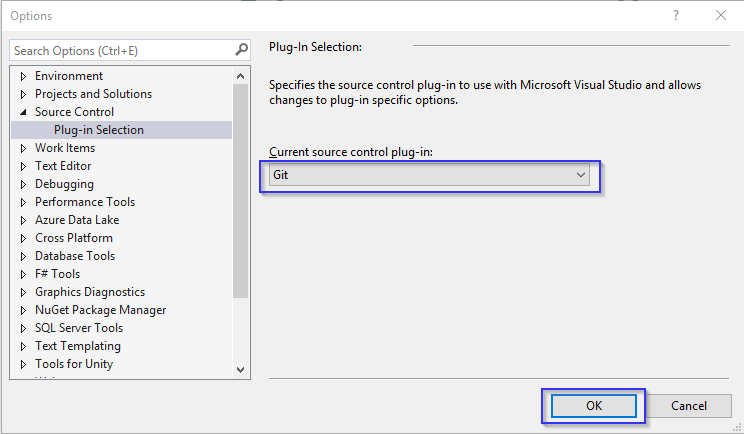 I hope you understand now about Git, how to install the Git in Windows, how to plugin Git with Visual Studio, and why we need to use Git version control. I have covered all the required things. If you find anything missing, please let me know.